In two weeks more than 7,000 corporate travel professionals will descend upon Boston for GBTA, the year’s biggest business travel conference. This year, Monaeo will be exhibiting at GBTA about how companies can use data to manage cross-border tax and payroll risks. GBTA Convention 2017 promotes small and large business growth in the travel industry, with an Expo floor of new innovations and over 60+ hours of diverse educational opportunities, including CEO panels, general sessions and professional development seminars. Monaeo will be featuring its technology platform for managing tax and payroll risks created by employee travel. Failure to properly manage cross-border compliance costs companies millions of dollars in back taxes, fees, and penalties each year. 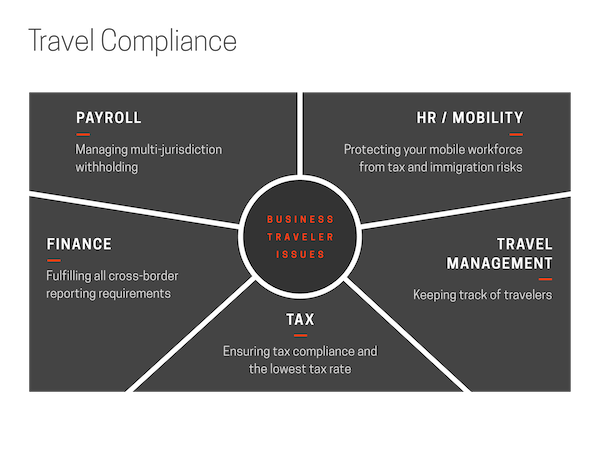 Monaeo’s platform enables companies to leverage existing sources of data (such as travel and expense reports, time sheets, or badge swipes) for real-time visibility into employee travel and automated management of tax and payroll compliance. Monaeo is used by companies across the Fortune 1000 and partners with industry leaders including ADP and SAP Concur. For qualified attendees at GBTA, Monaeo will be offering a complimentary Risk Analysis of your existing travel. Drop by Booth 331 or request an appointment to ensure we have someone available to speak with you.